With 10 speeds and a five qt capacity you can be sure that this Almond Cream stand mixer will mix a ton of ingredients efficiently and into some delicious batter to bake. This Artisan Series 10 speed stand mixer by KitchenAid is perfect for kitchens with flare. 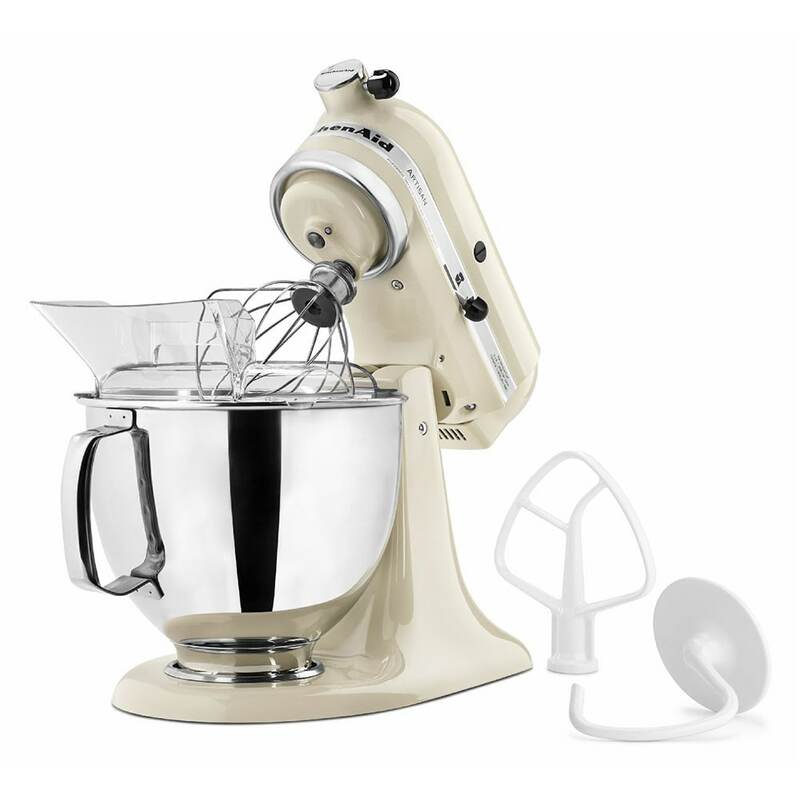 Give your kitchen some serious style with this 5 qt stand mixer in Almond Cream! Not only is this 5 qt stand mixer stylish but it has a wide array of settings for all your mixing and food preparation needs. This 5 qt mixer even has a pouring shield to reduce mess and waste. It also comes with a coated flat beater for easy clean up and durability, a coated dough hook, and a six wire whip so that you can make up some tasty cookies, breads, cakes, and pastries. Artisan Series 5-quart mixer, 10 speed, tilt back head for easy access to mixture, 1-piece pouring shield with large chute for adding ingredients, includes flat beater, dough hook and wire whip. 325 watts, 120v/60/1ph, Almond Cream. Warranty not valid when used in commercial environment such as a bar or restaurant.